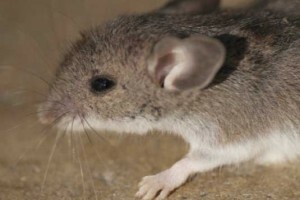 House mice (Mus musculus) are the most common rodents encountered in structures throughout the world. When it comes to controlling an infestation, clients have very little patience, so it’s important to reduce populations quickly. Sometimes, technicians make the mistake of using too few rodent control devices. Whether it’s snap traps, sticky traps, multiple-catch traps or bait stations, control efforts will be hampered unless enough equipment is placed where mice are active. Consider that the typical house mouse has a home range of 10 to 30 ft. from its nest. When infestations are large, or food is abundant, these home ranges can shrink. Take the time to identify every area with mouse activity. Look for droppings, evidence of gnawing, and in heavy infestations, grease marks. If signs of activity span a distance greater than 10 to 30 ft., chances are you are dealing with more than one family unit, which requires management devices be placed in each territory. Never rely on mice to venture beyond their home range. If food and nesting sites are available, they might never venture outside their territory. Snap traps are the best example of the idea that more is better. If only six traps are set, and eight mice are present, even the most sincere efforts are bound to fail. It’s difficult to estimate the exact size of an infestation, but it’s better to err on the side of too many traps.